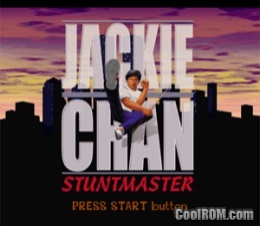 Jackie Chan Stuntmaster is a PlayStation game based on the actor and martial artist Jackie Chan. 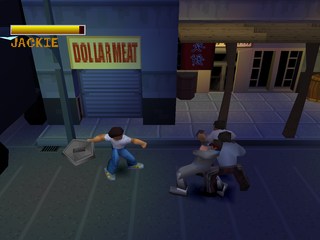 Made by Radical Entertainment, the game sees the player in the shoes of Jackie Chan who must fight his way past numerous villains in different locations across the city of New York. Jackie's grandfather (Fredrick) has been kidnapped and Jackie needs to get him back. This means fighting his way through New York to get to him. Jackie also faces a number of different challenges in which the player must use a combination of moves to succeed. The game boasts 15 fully 3D levels with different environmental obstacles to cross.